Save 60% for a limited time! 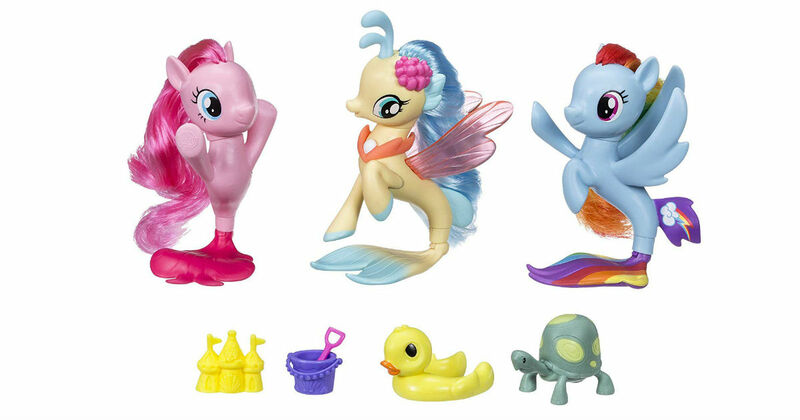 Today only, head to Amazon to get this My Little Pony Seapony Collection Set for only $10.07, regularly $24.99. This 3-In-1 mermaid Pony pack: includes the pink seapony Pinkie Pie, The blue with rainbow hair Pony Rainbow dash, and Princess sky Star, their seapony friend inspired by My Little Pony: the movie!